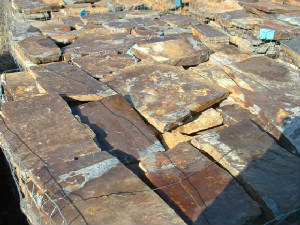 Producer/Supplier of top quality stone, from Montana, Utah and Colorado. We have stone products for all of your building and landscaping needs. 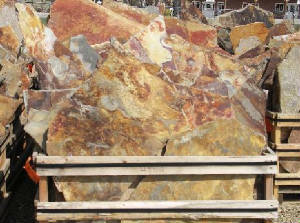 Here in beautiful Western Montana we have access to some the finest rock quarries in the USA. From building stone to flagstone , landscape boulders to dry stack or moss covered granite, whatever your needs might be be, we can locate it for you. 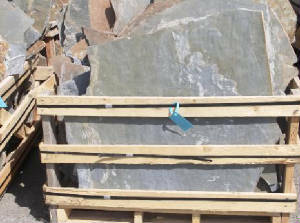 On this site you will find a sampling of the top quality stone we have available . 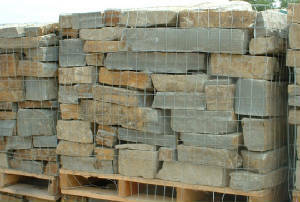 If you are looking for a speciality stone of any kind, just give us a call. 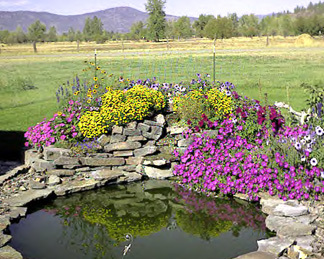 From our prime location in Western Montana, we are able to offer our customers a wide variety of landscape, building, and decorative stone. Pond and Waterfall of Mossy Granite and surrounded with Elk Mountain Flagstone. Hours are from 9 - 5 MST.